[German]The rumors of the last days has been true. Microsoft has introduced the Surface Go Tablet, which is entering the education market with a price starting at 399 US $ and a 10-inch display. From today, July 10, 2018, pre-orders are possible. Within this blog post Microsoft’s beschreibt Chief Product Officer, Panos Panay, describes the design goals in the development of the Microsoft Surface Go. Many people travel throughout the day in different situations, on their way to work, school or home. If you want to use a surface there, it must provide a balance between performance and versatility, form and function. 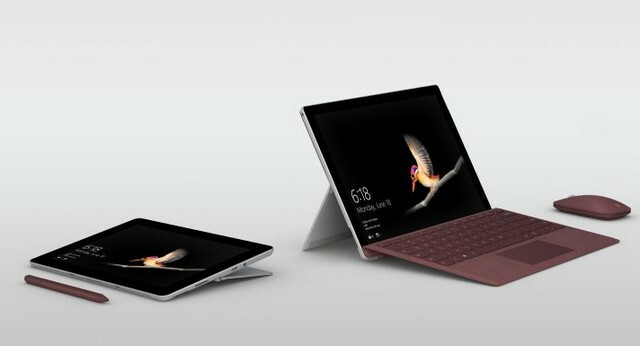 The idea behind the Surface Go design was to provide the smallest, lightest and cheapest Microsoft Surface Tablet to date. The eMMC memory is slower and cheaper than SSDs. The processor is an Intel Pentium 4415Y (Kaby Lake, 7th generation), which is clocked at 1.5 GHz and should be more powerful than the Atom CPUs. In its lightest version, the Surface Go weighs only 562 grams and is 8.3 mm thick. A built-in stand (kickstand) with full friction hinge allows a folding angle of up to 165 degrees. This allows you to switch from tray mode to studio mode. The Surface Go has a USB-C port, a microSD card reader and two cameras (5 megapixel front, 8 megapixel back). The Windows Hello front camera enables a login with face recognition. A Surface Connect connection is available for docking and charging. The battery life is indicated as’9 hours’. 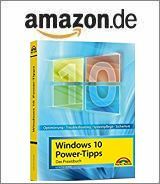 Windows 10 S is delivered as operating system, a change to Windows 10 Home is possible free of charge. The Surface Go is offered in the USA at a price starting at 399 dollars against the iPad from Apple and the Chromebooks from Google. The 4GB RAM/64GB eMMC WiFi model can be pre-ordered today, July 10, 2018 (in the US, Canada, UK, Ireland, France, Germany, Austria, Belgium, Luxembourg, Netherlands, Switzerland, Denmark, Finland, Norway, Sweden, Poland, Italy, Portugal and Spain). The device will be available in stores from August 2, 2018. The LTE models will be available later this year. Microsoft will offer an optional Type Cover and a Surface Pen. The video has been published by Microsoft, Brad Sams has published the following hands-on video. This entry was posted in devices, Windows and tagged Microsoft, Surface Go, tablet. Bookmark the permalink.